Enterprises are increasingly turning to IVR to reduce the cost of common sales, service, collections, inquiry and support calls to and from their company. 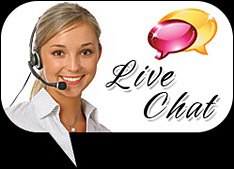 OvS IVR system can help to direct customers to the right support channel they need. However small or large, for any organization it is extremely cumbersome to answer all phone calls manually. Though some customer calls require human interaction, most of them have obvious and regular responses that can be answered in an automated manner. There arises a need to develop a system which enhances productivity and user experience while reducing cost of answering customer calls. The system should help the customer perform the desired tasks anytime and from any corner of the world. Your customers can access the required information just by dialing a number while you are away from office as well as after office hours. Imagine having a telephone banking IVR that allows you to perform various transactions, including bill payments, account information, money transfer and so on. It is a perfect package to build an interactive voice-menu suiting your needs in the language of your choice. IVRs can accept input from callers, usually in the form of pressed phone keys, and can accept voice input and in some cases translate that into actions. The biggest advantage of IVR for small and large organizations is to save time and money. Answering phone calls takes a lot of time, and not every phone call deserves the attention of a trained employee. IVR systems can take care of most of the frequently asked questions that an organization receives (office hours, directions, phone directory, common tech support questions, et cetera) and allow customer service reps, salesmen and tech support specialists to concentrate on the harder stuff. If a large company is able to save even a second off the average length of each phone call with a live operator, it can save them hundreds of thousands or even millions of dollars a year. IVR systems have the advantage of making callers and customers feel like they're being attended to, even if it's just by a machine. If you have a simple question, it's better to get a quick answer from a computerized operator than to wait ten minutes on hold before talking to a human being. Another advantage is that IVR systems don't sleep. They don't take lunch breaks. They don't go on vacations to the Bahamas. An IVR system can be available 24 hours a day to field questions and help customers with simple tasks. An IVR can speak many languages and can decide which language to speak by the caller ID just like an intelligent human! Making a caller, who is a prospective customer, feel at home with a his native language would surely put you at advantageous position than your competitor! The benefits of IVR are endless. A company cannot expect to remain competitive in their given marketplace if they do not possess the tools their customers need. The benefits of IVR are such that a company will always be there for their customers. IVR systems make it possible to serve clients 24-7; if a company does not have this ability, a customer might choose to take their business elsewhere. In this day and age, a company cannot afford to loose steady customers. Whether a company provides goods or services, and the service level of those goods or services goes down, customers will start looking for someone else to provide a better level of service. Therefore, the benefits of IVR are essential, not only in growing your business, but maintaining it as well. Print and provide only one number for all the departments in your advertisements and brochures. Will impress your callers and increases the reputation of your brand name. Attending the call at the first ring. Multilingual greetings to the caller. It is very useful when you have to distribute same type of information to every caller. IVR works 24 hours a day and it never greets a caller with tired voice. Medical Transcription Services - Allows Doctors to Record Transcriptions, which can later be listened to and documented by a Medical Transcribe. Automated Prescription Filling - Allows Pharmacies to allow for automated prescription filling services for patients. Patient Reminders - Remind patients of upcoming appointments or to take their medicine on time. Off Hours Auto Attendant - Provide Emergency Information for Patients off hours when the office is closed. atient Surveys - Survey Patients for Quality Assesment and Increase Customer Satisfaction. Bill Collection - Remind Residents of Late Payments due, and provide automated Payment service. Bank Information - Provide Bank Information to Customers including Hours, Services Provided and Locations, etc. TeleBanking - Allow Customers to Securely access their Account Details, Transfer Funds, etc. Card Enablement - Allow Customers to Enable their Bank, Check, Credit Cards Securely and Automated. Call Routing - Route Calls to the proper person/department within a Bank/Office. Customer Satisfaction Surveys - Survey Patients for Quality Assesment and Increase Customer Satisfaction. Employee Screening - Perform Initial Candidate Interviews for job screening. Call Center Automated IVR Functionalities - Provide Automated Account/Company Information to Callers to reduce calls to live Agents. Call Center Routing - Route calls to the proper Call Center Agents based on Customer Requirements. Employee Screening & Recruiting - Perform Initial Candidate Interviews for job screening. Employee Satisfaction - Provide Surveys to Employees to better motivate employees. Employee Time Clock - For Employees working on the go, allow them to clock in/out via telephone. General Information - Provide General Information to Customers including Hours of Operations, Mailing Address, Driving Directions, Employee Directory, Services Information, etc. Reminders - Remind Customers of Appointments, Late Bills, upcoming events, fund raising efforts, general information. Order Processing - Allow Customers to place order over the telephone automated. Credit Card Processing - Allow Customers to pay bills via the telephone. Product Registration - Allow Automated Registration of Products. Recall Information - Allow Information about Product Recall. Shipment Status - Allow customer to find information about Shipments. Dealer/Store Locator - For a Multi-Chain of Stores, provide the nearest store information based on phone number or zip code. Store Information - Provide Store Hours, Department Routing and Directions. Specials/Discounts - Provide information of Specials and Discounts in the store. Appointment Confirmation - Allow Customers to Confirm upcoming Appointments. Parent Information - Provide information on Upcoming Events, Child's Homework, Leave messages for teachers, Student Grades, Test Schedules etc. Student Information - Provide information on upcoming events, Homework info, School Closings, etc. Surveying - Provide Survey's on the quality of the teachers, cafeteria, bus service, etc. Notication - Notify Parents for Child Absentees, School Closings, upcoming events. Candidate Awareness - Broadcast Candidate Information to the community for name identification, and Voting Information. Mailer Notification - Notify Recipients that Mailers have been sent out, and look out in the mail for it. Survey - Allows Voters to let candidates know what are the most important issues to them. Community Awareness - Provide Inbound/Outbound services to inform the community about upcoming events, functions, changes to the laws, etc. Services Provided - Provide Callers with information on what services the township offers. Department Routing - Route Callers to the Proper Department within the Municipality Offices. Ring Tone Services - Allow Callers to Download Ringtones to the Mobile Phone. Lottery - Allow Callers to play the lottery through their phone. Radio - Allow Callers to Listen to the Radio through the phone. Ring Back Services - Allow Callers to Choose their RingBack tone that will be used when callers dial their number. Horoscope - Allow Callers to listen to their Horoscope. Music Messaging - Allow Callers to Dedicate a Music Message to their Loved Ones, Friends, etc. Dating - Allow Callers to Listen to Dating Profiles, and Chat Live with other People. News - Provide Up to date News to the Callers. Weather - Provide the Current Weather Service to Callers. Voice SMS - Provide a Facility for Callers to Record a Message and forward the Message to the Requested Party. Quiz - Provide an Telephonic Quiz and give winners a prize. Hotel Booking - Provide ability to callers to Book their Hotel Reservations through the phone. Special/Deals - Let Callers know about special travel deals and services. Hotel Locator - For Multi-Chain Hotels, provide the nearest hotel information based on the state/zip code. Dealer Information - Provider Dealer Hours, pricing and other information. Car Status - Provide Status of Car to Vehicle Owners, so they know if the vehicle is ready or not. Payment - Allow Customers to pay bills over the telephone to reduce time when picking up the vehicle. Traffic ticket service - Allow Violators to pay Traffic Tickets over the phone. Notification - Notify Community of Suspicious Indviduals or Warnings. Parking - Allow Callers to pay Meter Parking through the Phone. General Information - Provide Information about Services, Rates and Specials Offered. Schedule Infromation - Provide up to date Information about Train/Place/Bus Arrival And Departure Information. Bookings - Taking Ticket Bookings for Train/Plane/Bus. Complaint Booking - Allow Customers to File a Service/Billing Complaint so that it is Trackable and Accountable. Survey - Allows Customers to provide Service/Products/Suggesstion Feedback. Call Routing - Route Calls to the proper person/department. Account Information - Provide Information about Customer Account, Including Balance Due, Minutes Used, etc. Number Change Notification - Notify Callers that a Phone Number has been changed. New Number Notification - Notify Callers that the Phone Number has been changed, and play out the New Number.